If you love the shabby chic look but feel like you don’t have enough accessories to complete the look – no worries! It really doesn’t take a lot to make a big impact. In fact, sometimes less is more when it comes to shabby chic decorating. When you have a lot of stuff, it can be easy to lose your design if your groupings are too cluttered or mish mash. 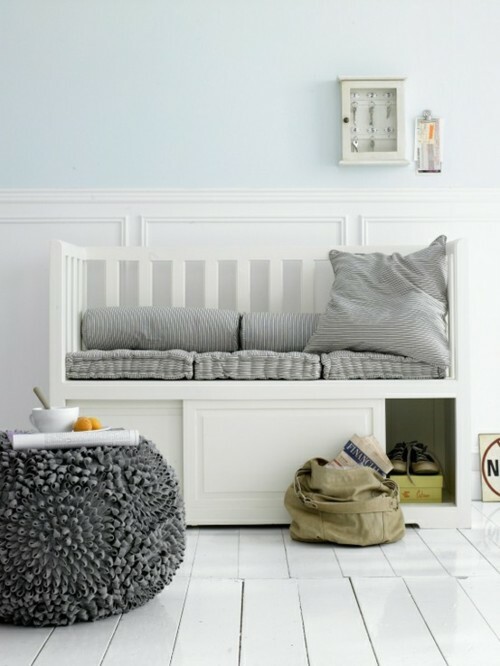 A simple shabby chic display can create a certain wow factor that is both relaxing to look at and completely stylish. 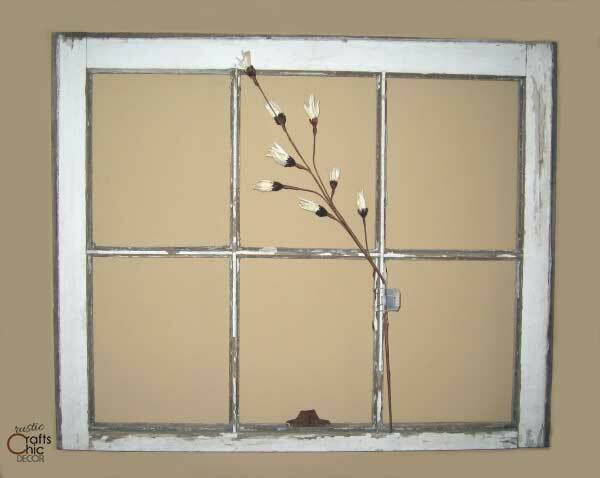 When I bought this old window frame, I originally thought I would use it to display pictures. However, I decided to hang it in my bedroom, as is, with just the floral pick and have enjoyed the simple design. I went looking for some examples to show you of some clean and simple shabby chic designs that you can accomplish easily and still get lots of high impact. These ideas were some of my favorites. 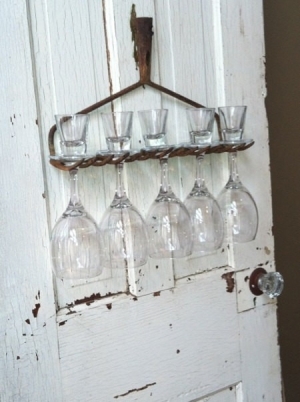 Just having this old rake hanging on a wall or door to hold wine glasses has enough impact all on its own to create lots of interest. All you have to do is pull an old rake from your own garage or start searching garage or estate sales! I love using antlers in decorating. Probably because my husband supplies plenty of them! They don’t have to be totally rustic or woodsman when displayed. This simple display in a chic white bedroom adds a lot of interest to the wall. If you don’t have a large set of antlers, a grouping of about three small sets looks great too. 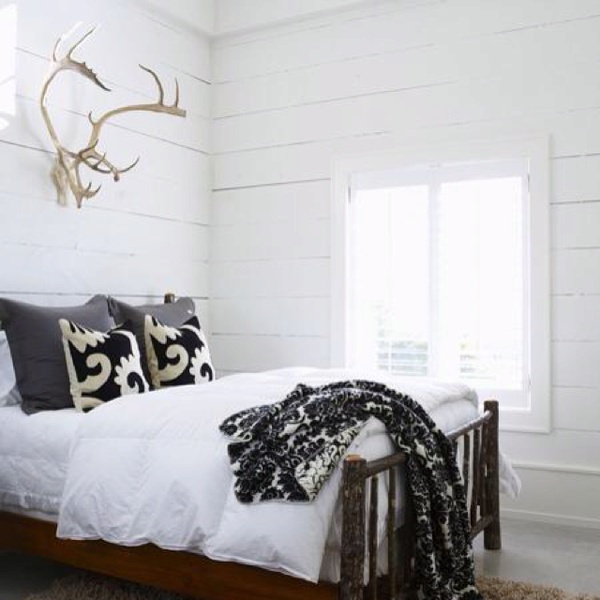 You could even paint the antlers white for an even chicer look. Wow! Who would have thought a road side rescue would turn into such great mantel decor. 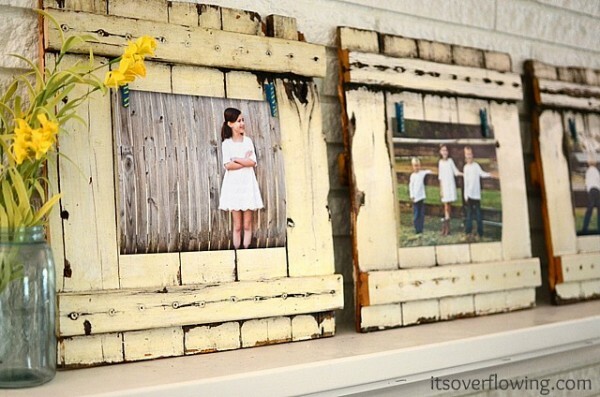 These picture frames are just oozing with style. The added mantel accessories, like the mason jar vase, complement the frames perfectly without overwhelming them. There isn’t too much going on with color variation or wall decor, in this example, and yet the design has impact. The key is varying textures and patterns to achieve lots of clean interest. 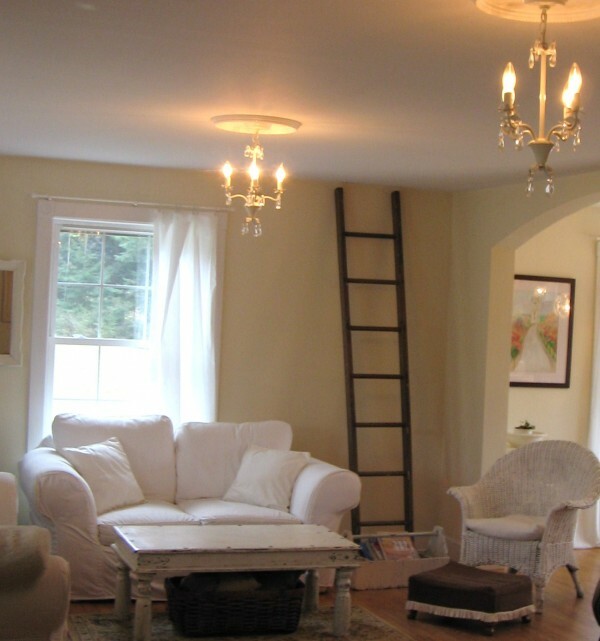 Finally, I love how simple and stylish this old ladder looks just propped up against the wall. Nothing else is required at it looks great! You can definitely see how less is more in this example. Hopefully these ideas have inspired you!